There were almost 10.5K tweets per minute at the peak. THE MAKERS OF the hit BBC show Sherlock are the cruellest of mistresses, returning every two years to tease us with just three episodes of our favourite mystery-solving duo. The series has taken the telly watching public – and the internet – by storm. A massive following on the microblogging site tumblr has seen the Sherlock ‘fandom’ reach staggering heights online. Twitter too has been instrumental in stirring up the Sherlock frenzy with hundreds of thousands livetweeting each episode, and voicing their anticipation in advance of the Sunday night broadcast. This evening’s season 3 finale His Last Vow hit a peak volume of 10,400 tweets at the climax of the broadcast according to analytics service Second Sync; that’s more than double last week’s top number. The show’s makers have confirmed that there will be a fourth and a fifth season of Sherlock, but when they will materialise is another matter. Star Benedict Cumberbatch is in high demand in Hollywood, starring in Star Trek: Into Darkness, The Fifth Estate, 12 Years a Slave and August: Osage County this year alone. Martin Freeman meanwhile had roles in The World’s End and Svengali, and played Bilbo Baggins in The Hobbit: The Desolation of Smaug. Cumberbatch teamed up with Freeman to play Smaug in the Peter Jackson film. Email “Sherlock season 3 finale generates more than quarter of a million tweets”. 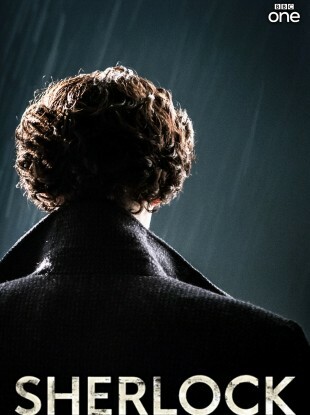 Feedback on “Sherlock season 3 finale generates more than quarter of a million tweets”.